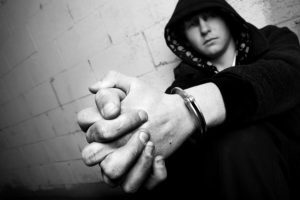 Criminal Defense Lawyer Spartanburg, SC: Being charged with a crime is a serious matter, and should never be taken lightly. If convicted, you could be facing jail time, a fine, or in some cases, both. There is also the possibility of a license suspension, losing your job, or other negative unforeseen consequences. The bottom line is that a criminal conviction can dramatically change your life for the worse. The State’s sole purpose is to get a conviction, and they have numerous resources at their disposal to do just that. An experienced criminal defense attorney is a must when someone is charged with a crime. A defense attorney’s sole purpose is to fight for the constitutionally guaranteed rights of their clients. 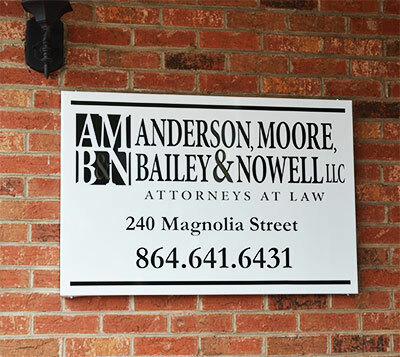 The attorneys at Anderson, Moore, Bailey, and Nowell can be your resource, to fight for you every step of the way. With two former Seventh Judicial Circuit prosecutors, Anderson, Moore, Bailey, and Nowell knows how to handle the complexities of the criminal justice system. We will work diligently on your case, and make ourselves available whenever we are needed. Give us a call, and we will start by simply sitting down and talking about the situation. The consultation is always free, and always confidential. WHAT DO I DO IF I AM ARRESTED IN SPARTANBURG, SC? After being arrested you may be confused on what steps to take next. You are entitle to rights no matter what happened. Contact Anderson Moore Bailey & Nowell if you have been arrested and definitely before you talk to the police or answer any questions.